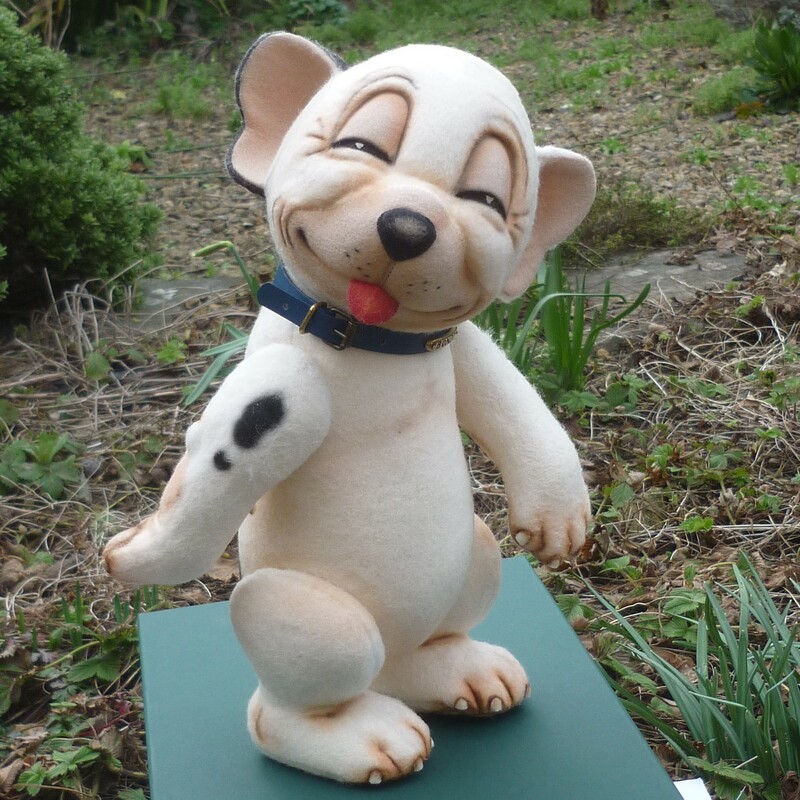 “Bonzo™” – the famous dog character created by talented artist George E. Studdy in 1922. Bonzo™, the small, sleepy-looking pup of “The Sketch” attracted huge audiences made up of both adults and children. Bonzo’s image and exploits spilled over from the pages of the magazine into more areas of popular culture than those of any other cartoon hero before him. In addition to his regular appearance in the publication, Studdy’s irresistible little dog starred in many books for children as well as hundreds of attractive full color postcards. His image thrived in an enormous variety of spin-off products which included games, puzzles, toys, figurines, and countless household items. 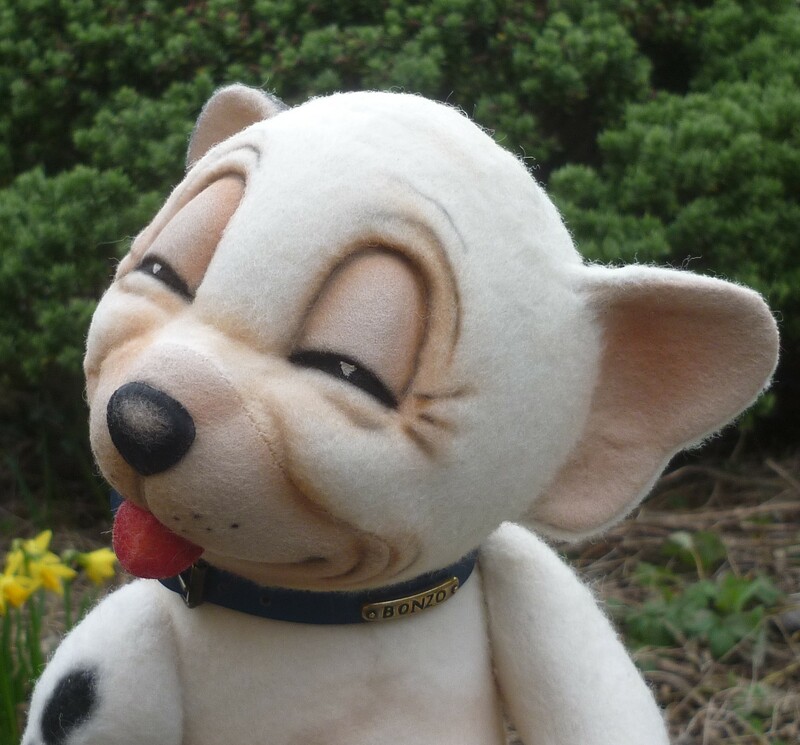 During the 1920’s, Bonzo was unrivaled worldwide as the most popular cartoon character of his time. The Premier edition of Bonzo from R. John Wright is based closely on the original Studdy drawings from the 1920’s. 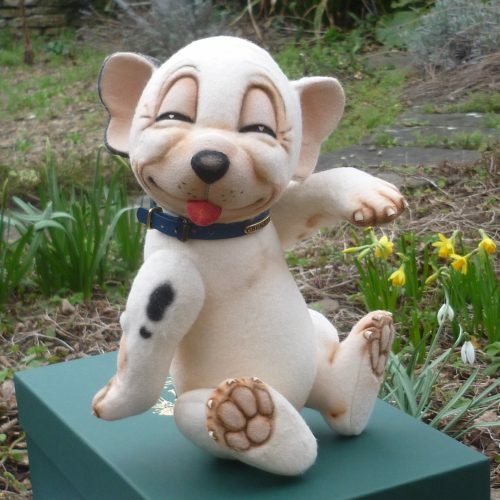 He is made out of the finest wool plush with wool felt details and molded, hand-painted features. This darling pup stands approximately 11 inches tall and is fully jointed – including a ball & socket neck joint for playful posing. 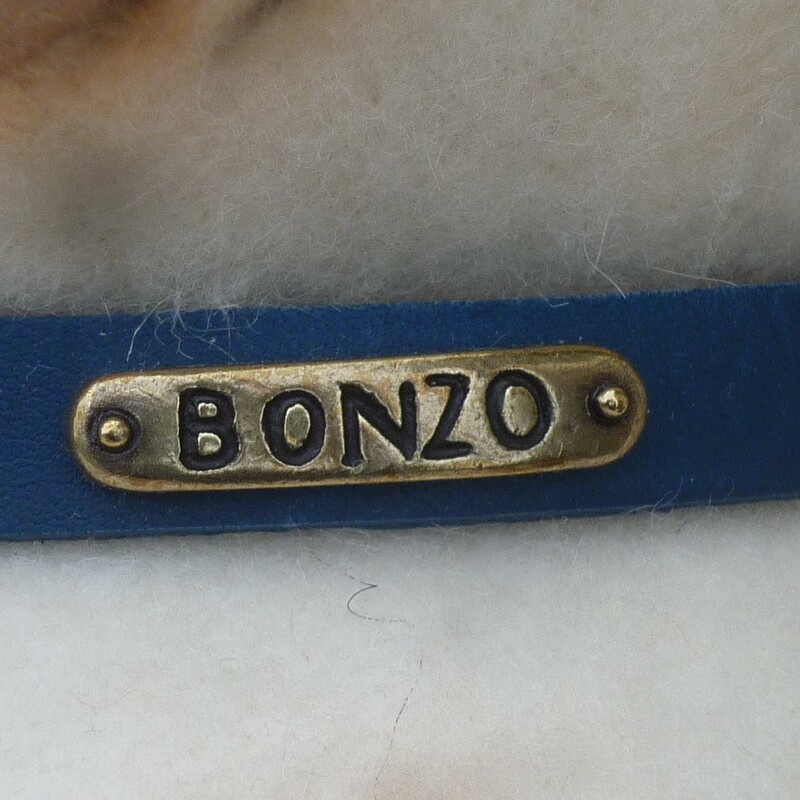 Around his neck he wears a leather collar with a custom-made brass nameplate. No detail has been spared to create the definitive version of this beloved comic character!